Available in a wide variety of colors and sizes! Made from tissue paper, our collection of honeycomb tissue bells are certain to meet all of your party needs. 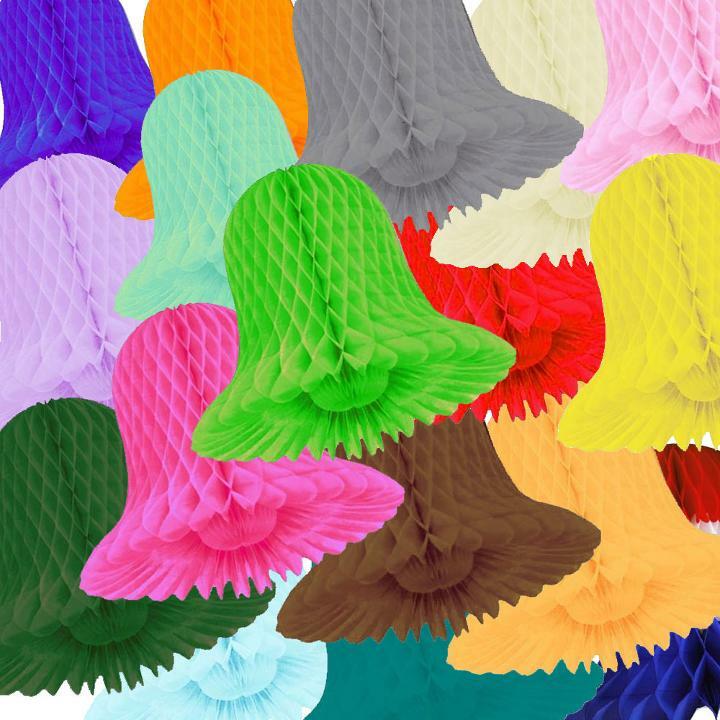 Available in a wide variety of colors and sizes, our honeycomb tissue bells are the perfect addition to any event - from birthday parties to anniversaries, weddings to banquets.